As we enter the holiday season, it is worth reflecting on one of the most pernicious slow-moving crises of our time: the continued presence of hunger in a world of plenty. Ending hunger by 2030 and protecting the right of everyone to have access to sufficient, safe, affordable and nutritious food is one of the targets proposed for the post-2015 agenda by the High-Level Panel  on the Post-2015 Development Agenda, and many others are also promoting the same message. Pope Francis is the latest entrant into this debate with his announcement of a global campaign of prayer and action to end to hunger and malnutrition, “One Human Family, Food For All ”. The campaign includes encouragement for local, national or global level action against food waste and the promotion of food access and security worldwide. 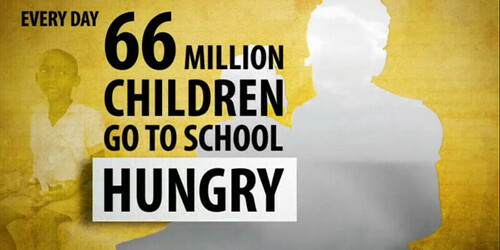 The Pope prompts us all to ask ourselves, what will it take to end hunger? The first issue is measuring the scale of the problem. The FAO, in its State of Food Security in the World, 2013 , reports that around 840 million people suffered from chronic hunger in 2011-13. This represents some improvement from the 1 billion hungry people estimated in 1990-92, and an even more impressive improvement as a share of the global population, but still remains unacceptably high in a world as wealthy as ours. A recent paper by Evans and Steven  argues that progress seems to have stalled and without concerted action, hunger is likely to persist until the end of the 21st century. The problem is that we don’t really know what has happened to hunger. The FAO is in the process of sharply revising their methodology to improve timeliness in a Voices of the Hungry Project . The old methodology, based on model simulations rather than actual real-time measurements, yielded some questionable numbers. In 2009, FAO was reporting increases in global hunger to historic highs of over 1 billion attributed to increases in international food prices, while self-reported indicators (from surveys like the Gallup World Poll) were showing the opposite, that hunger levels were actually falling thanks to strong economic growth in developing countries. Academics like David Headey  came down on the side of survey results and FAO, in partnership with Gallup, has devised a set of questions to arrive at a Food Insecurity Experience Scale that they will publish in 2014. This will be a great first step to resolving the measurement problem. The second major issue is to understand that the impact of hunger goes well beyond short-term misery and indignity. Undernourished mothers give birth to undernourished babies, whose brains cannot fully develop, limiting their cognitive and physical development, leaving them permanently unable to fulfill their potential and perpetuating cycles of poverty. Even for adults, there is now compelling evidence that hunger has a physiological impact that leads to poor decision making. Sendhil Mullainathan, in a fantastic new book called Scarcity: Why Having so Little Means So Much , has put forward a powerful compendium of experiments documenting these effects. The third issue is to track the size and nature of resources being applied to the campaign to end hunger. It will take more than business as usual. There is no shortage of promising initiatives to tackle hunger and food security. The New Partnership for Africa’s Development (NEPAD)  has outlined a Comprehensive Africa Agriculture Development Programme (CAADP)  that commits countries to allocate at least 10 percent of national budgetary resources to agriculture and rural development policy implementation by 2015. The Alliance for a Green Revolution in Africa (AGRA)  aims to reduce food insecurity in at least 20 countries, double the incomes of 20 million smallholder farmers, and put 15 countries on track to attain and sustain a Green Revolution. The New Alliance for Food Security and Nutrition  began in 2012 with a promise to help lift 50 million people in sub-Saharan Africa out of poverty in the next ten years by supporting agricultural development. The problem is that few of these initiatives have a system in place for tracking resources, impact and accountability. At the macro level, only half of the money pledged by donors for the G8 L’Aquila Food Security Initiative in 2009  has been disbursed. Aid directed towards agriculture has declined since the 1980s. African leaders in the Maputo Declaration pledge to direct 10% of GDP towards agriculture, yet there is a $4.4 billion dollar shortfall to this commitment. At the micro level, there is still too little attention to transparency and evaluation of aid to ensure it is directed in a way that best promotes livelihoods and supports smallholder farmers. In fact, the availability and quality of agricultural statistics has declined steadily since the early 1980s. Better data can enable a more concentrated effort to increase agricultural yields and productivity and raise incomes, especially for smallholder farmers. These three steps—measuring hunger, giving it the priority it deserves by recognizing its far-reaching and long-term impact, and tracking commitments and effectiveness of programs—would go a long way to establishing accountability for the mission to end hunger.